THE DATA PROTECTION Commission will begin public consultation on the processing of children’s personal data and their data protection rights under GDPR next week. The General Data Protection Regulation (GDPR) came into effect in May. The EU’s all-encompassing data regulation gave citizens heightened control over their own personal data. Fine Gael Senator Catherine Noone described today’s public consultation announcement as “a welcome step” aimed at fully protecting children’s data. “Currently a third of global internet users are children and Ireland is no exception to this trend,” Noone has said. As a result, Irish children are subject to significant levels of marketing and profiling by information services and platforms, which also sell on their data. 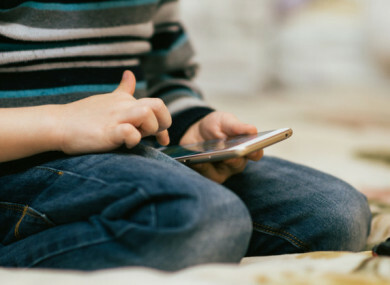 Noone has called for a “multi-faceted approach” to protecting children’s data and has said that public consultation will allow parent groups and child welfare organisations to make submissions. The aim of the public consultation is to raise awareness of children’s data protection issues as well establishing standards of protection across sectors where children’s personal data is processed. Information on how to make a submission will be available on the Data Protection Commission website next week. Email “Public consultation on children's data protection rights will begin next week”. Feedback on “Public consultation on children's data protection rights will begin next week”.